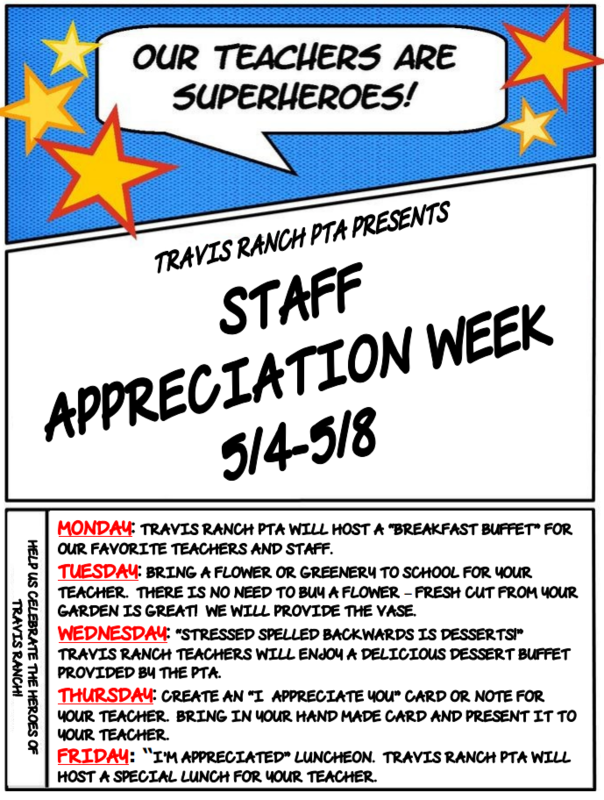 During the week of May 4 –8, Travis Ranch PTA will be taking time to show our appreciation to our wonderful teachers. Each class will be guided by their “Teacher Appreciation Representative”. Your participation is voluntary but we hope you and your student will take part in our special activities on Tuesday and Thursday. If you have any questions please contact your classroom representative. MONDAY, MAY 4TH: Travis Ranch PTA will host a “Breakfast Buffet” for our favorite teachers and staff. TUESDAY, MAY 5TH: Bring a flower or greenery to school for your teacher. There is no need to buy a flower – fresh cut from your garden is GREAT! We will provide the vase. 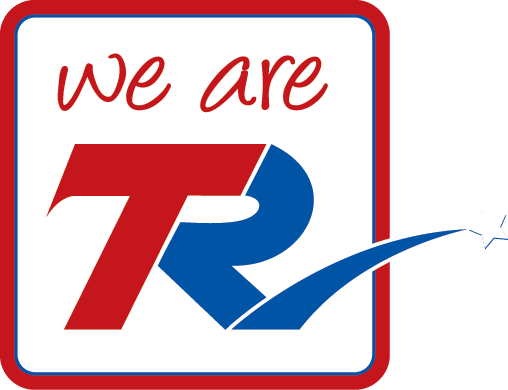 WEDNESDAY, MAY 6TH: “Stressed spelled backwards is Desserts!” Travis Ranch teachers will enjoy a delicious dessert buffet provided by the PTA. We’re looking for bakers! If you want to bring your home-made or store-bought dessert for our teachers, please bring them to the Staff Lounge between 8-10am. Non-perishable items only please. THURSDAY, MAY 7TH: Create an “I Appreciate You” card or note for your teacher. Bring in your hand made card and present it to your teacher. FRIDAY, MAY 8TH: “I’M APPRECIATED” Luncheon. Travis Ranch PTA will host a special lunch for your teacher.